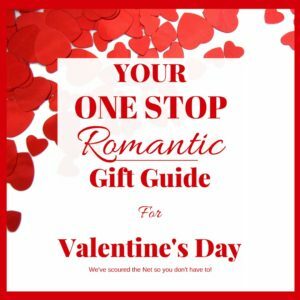 This list is updated regularly so check back whenever you want to give great romantic and unique gifts your Love will love! Personal Creations offers personalized gifts that are both useful and unique. Here are a few examples of their products that are perfect for Valentine’s Day or any Occasion. Experience Gifts make the perfect way to make memorable moments that you can share together. Creative Commitment’s Date-a-Month Love Calendars and Journals give you a year of memorable moments and make the ideal romantic gift for any occasion! The Dating Divas is a great website for tons of free and low cost romantic DIY printables and products! That’s our Romantic and Unique Gifts Guide for now! Be sure to check back for our ever expanding product list of the best of the net!